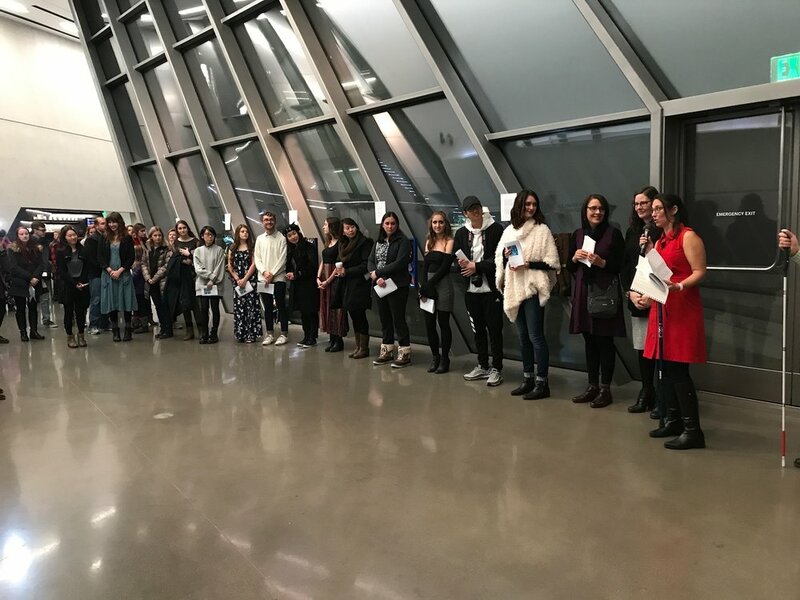 "Sense of Self" took place on November 10th, 2017, at the Eli and Edythe Broad Art Museum, uniting students and faculty from across Michigan State University to reimagine the art museum as an inclusive space. 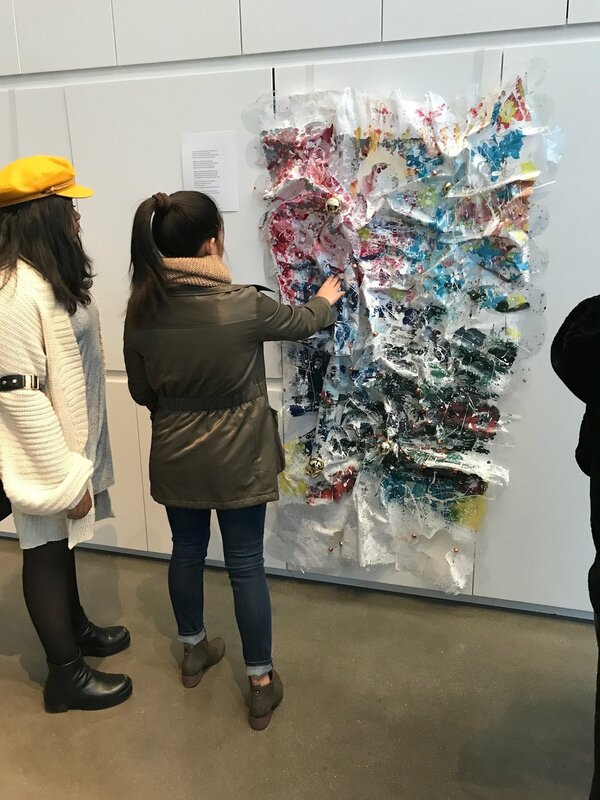 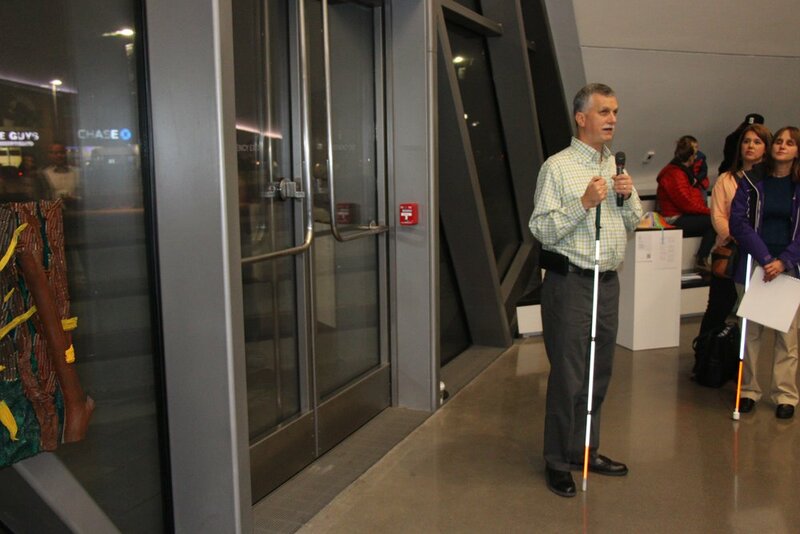 Focusing on art accessibility across the visual disability spectrum, this day-long exhibition incorporated both academic theory in the form of a multidisciplinary symposium, and hands-on, creative engagement through an exhibition of accessible artwork created by MSU students. 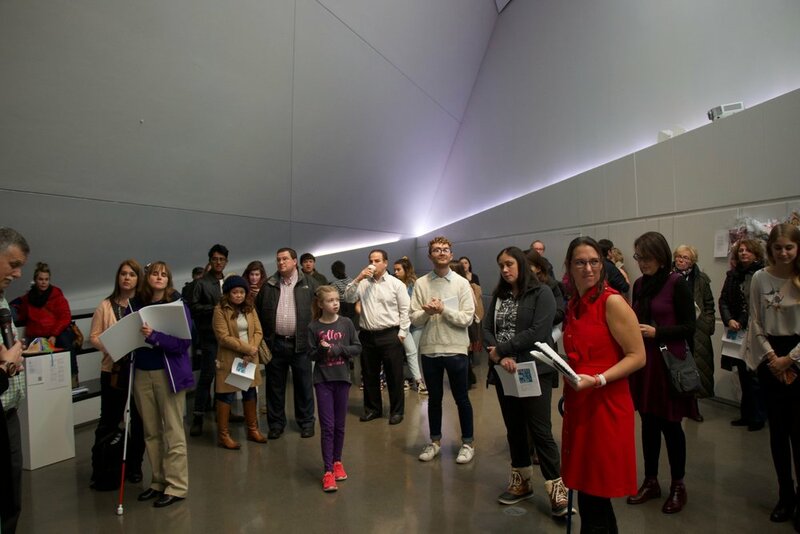 The event was funded by an engaged pedagogy grant from the Michigan State University College of Arts and Letters, with additional support from the Broad Museum. 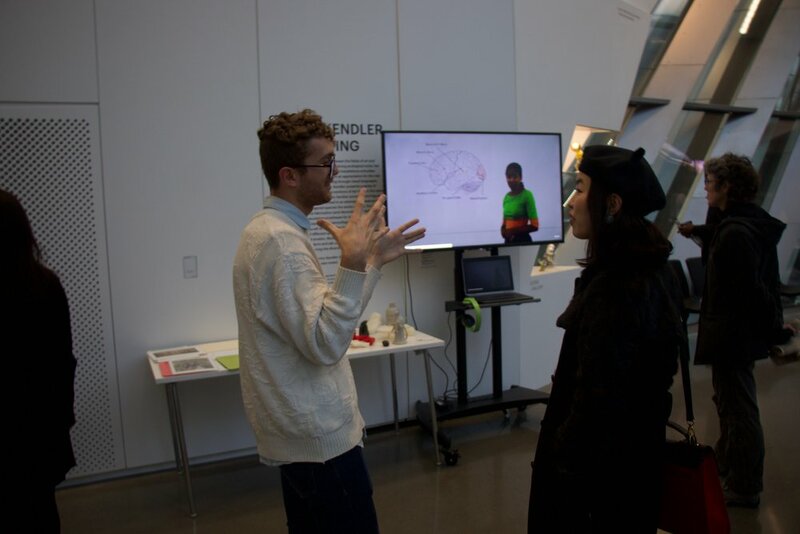 The symposium brought together two national leaders in accessible art, museum outreach, and disability studies, Dr. Georgina Kleege (UC Berkeley) and Lucas Livingston (Art Institute of Chicago), to share critical insights and expertise with an audience of faculty and students representing several departments and a range of multidisciplinary interests. 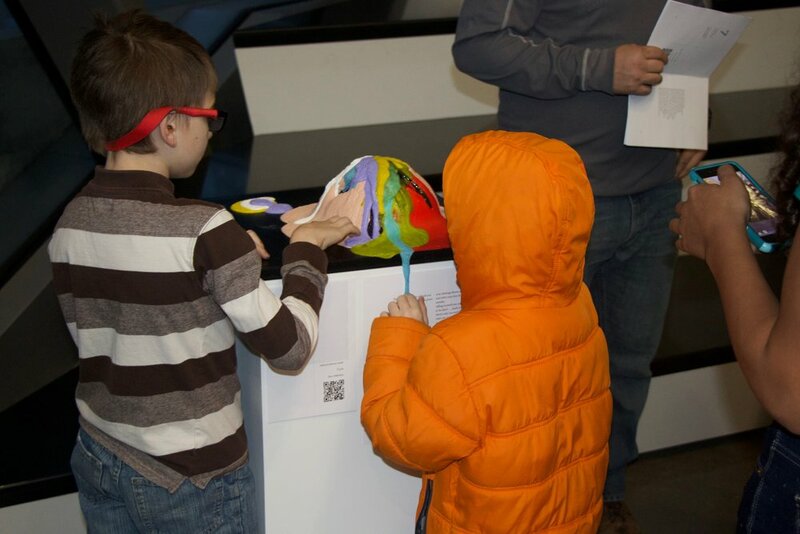 The exhibition featured artwork designed to be interacted with by touch, sound, and smell. 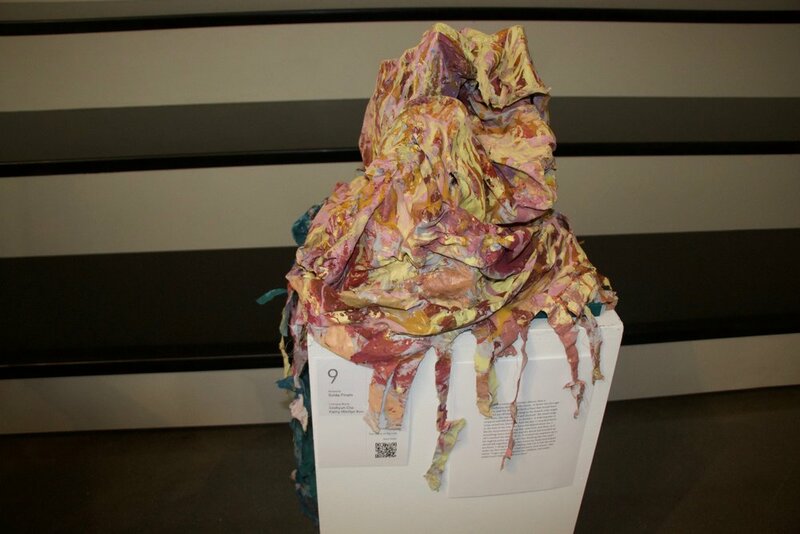 To create this unique collection, MSU professors Natalie Phillips (English) and Alisa Henriquez (Studio Art) worked together to design a cross-disciplinary collaboration between students in literature and painting courses. 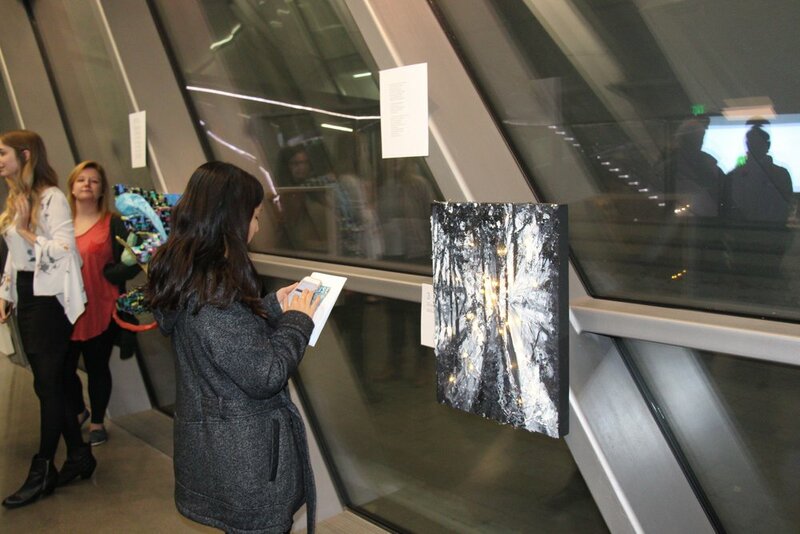 Literature students assembled a montage of written works connected by their powerful use of multisensory imagery. 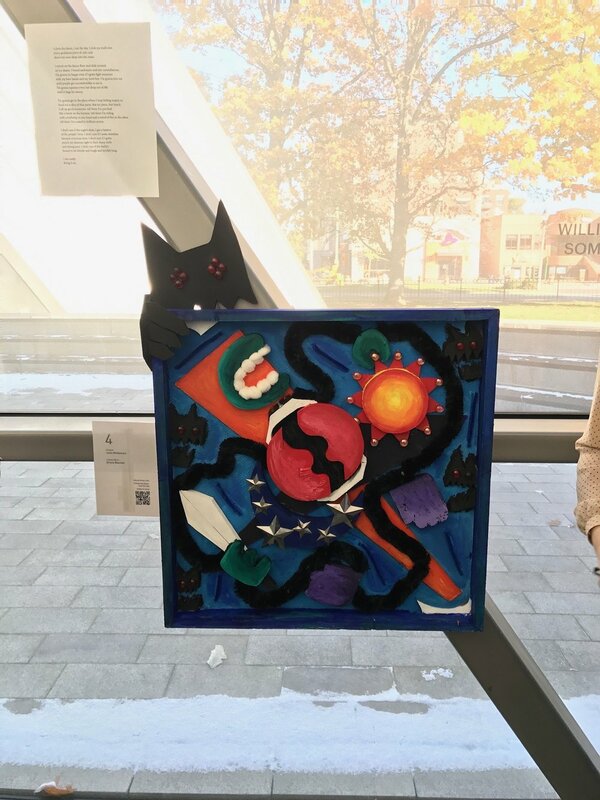 The collection included original student poems as well as selections from existing novels, poetry and short stories that move beyond visual imagery to engage audiences in imagined sights, sounds, tastes, smells, textures, and environments. 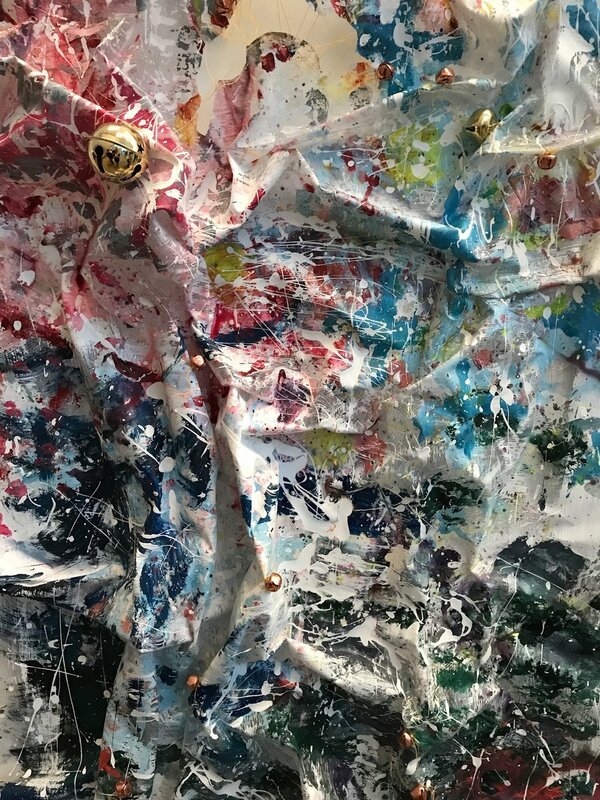 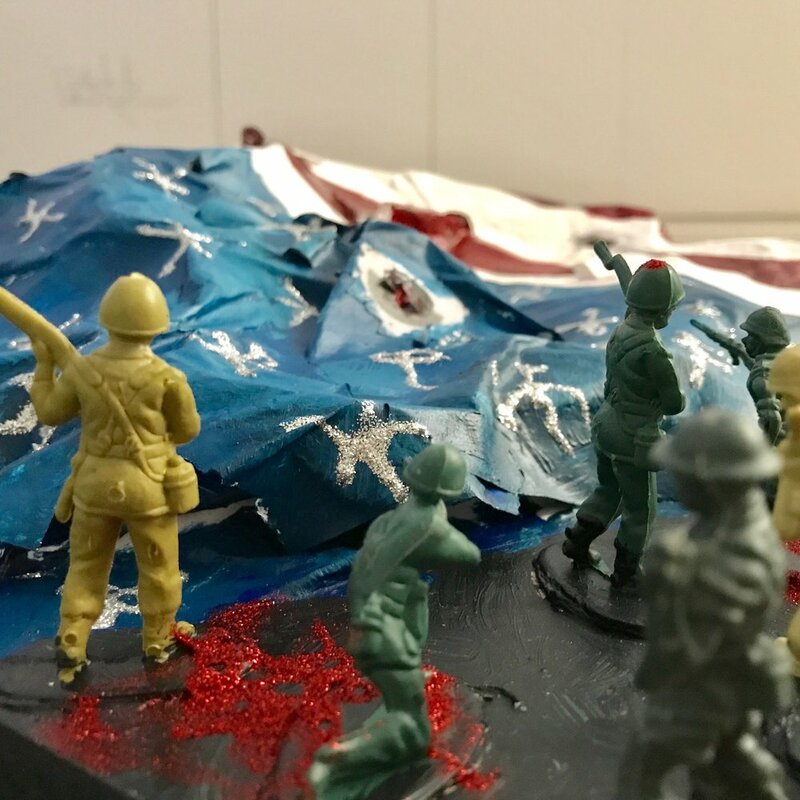 Art students used these literary pieces as inspiration to create multisensory pieces that upend visual art’s perceived bias toward the optical, using embodied experience to reimagine our engagement with art. 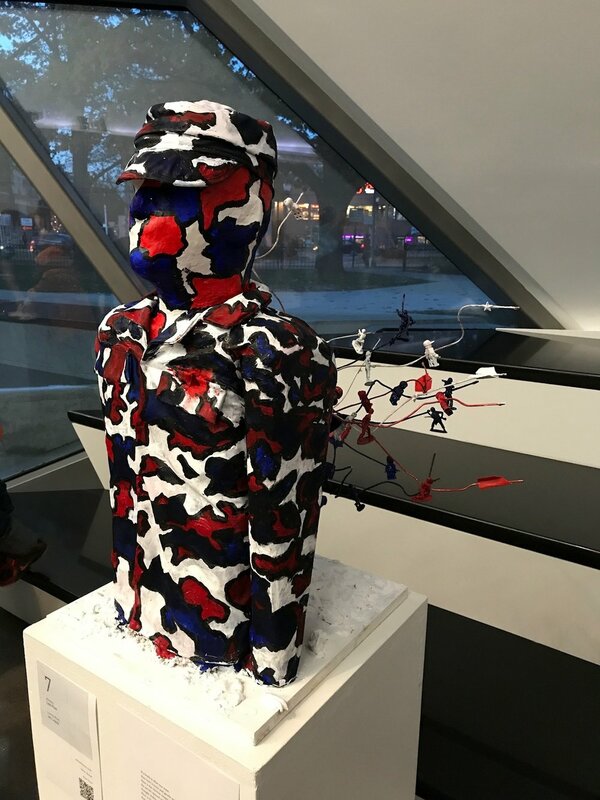 In honor of Veterans Day, the exhibition also highlighted works that focused on multisensory experiences of war. 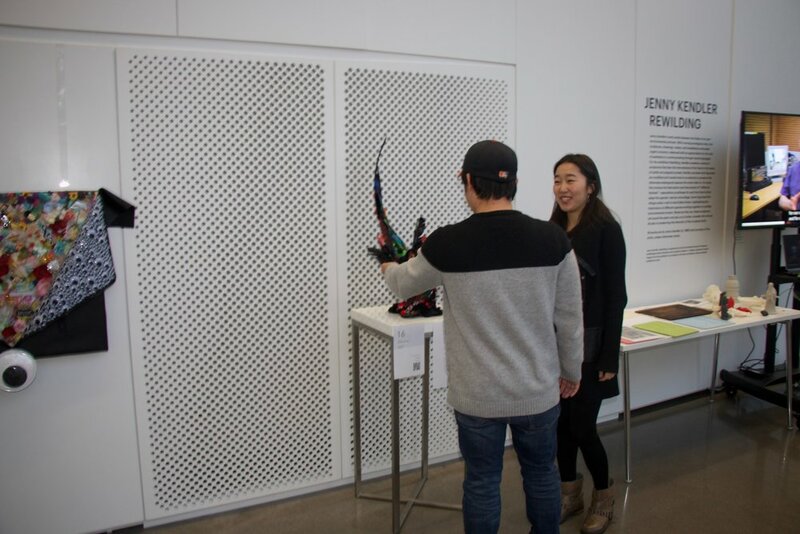 Guests were invited to touch the artworks, exploring the exhibit with their eyes, ears, and hands. 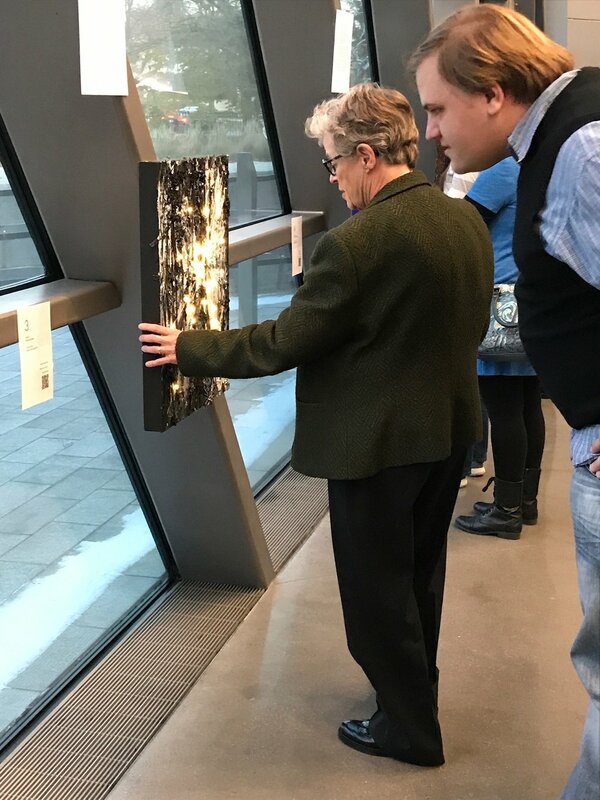 University President Lou Anna K. Simon attended the event, which was covered by local media including The State News and the College of Arts and Letters. 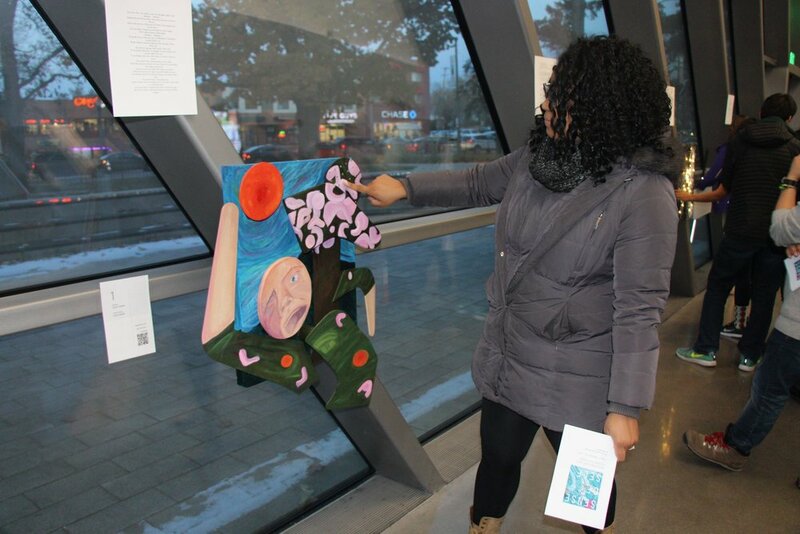 Images of the exhibited artworks, text and audio versions of the literary selections, and statements from the writers and artists have been made accessible below as part of the legacy of this collaborative event. 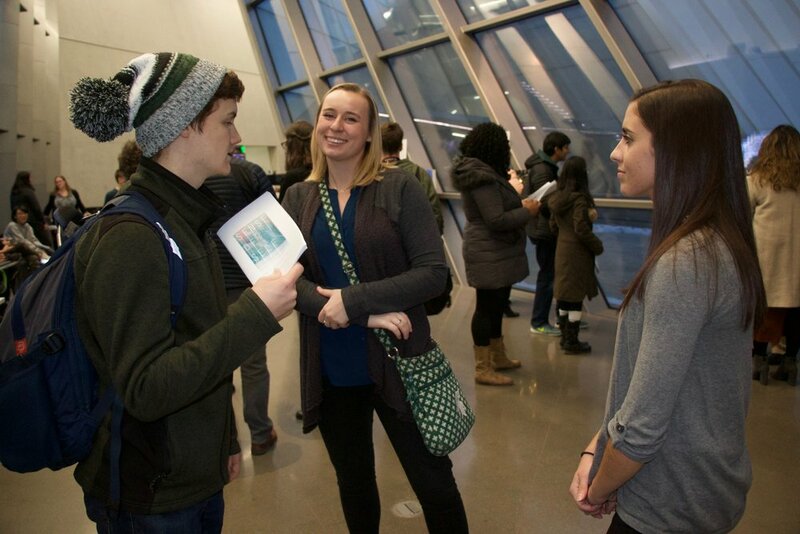 The full event program can be downloaded here.